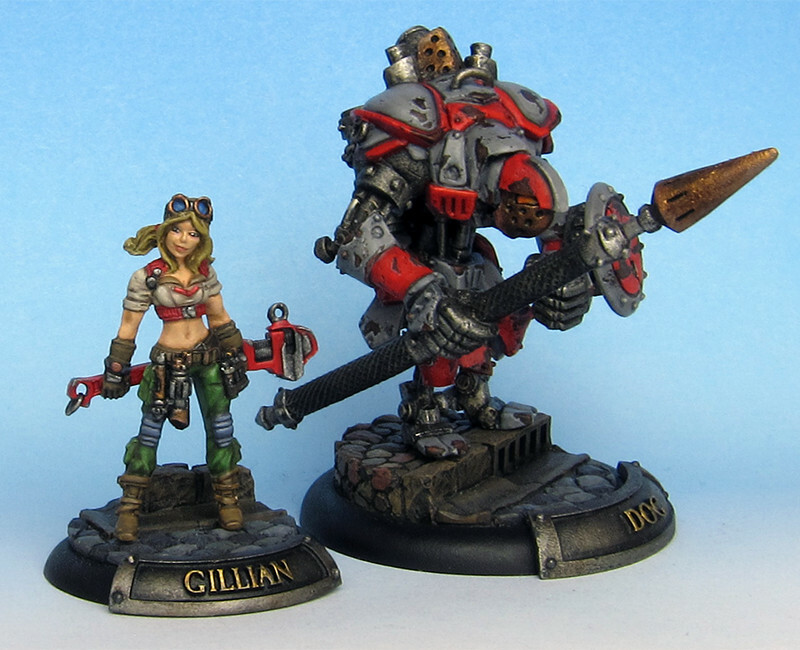 Gillian’s most prized possession is her Steamjack “Dog”. 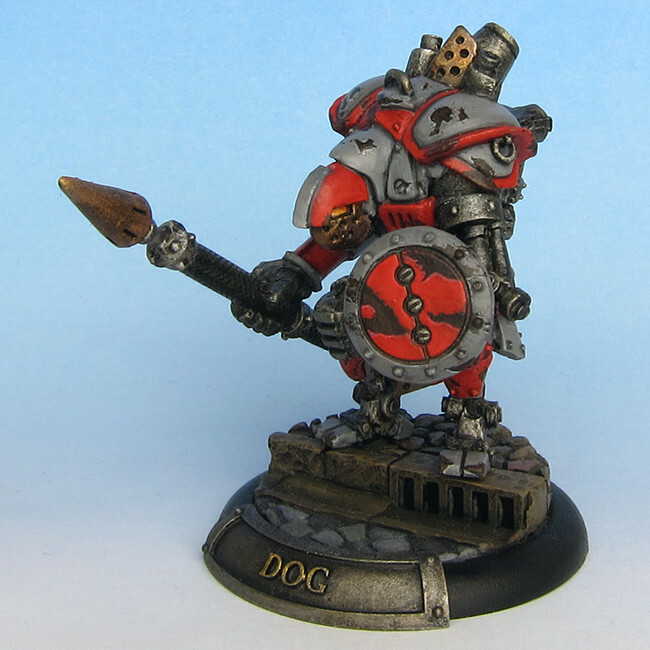 Dog is an old Bulldog chassis Laborjack which she keeps in prime condition. 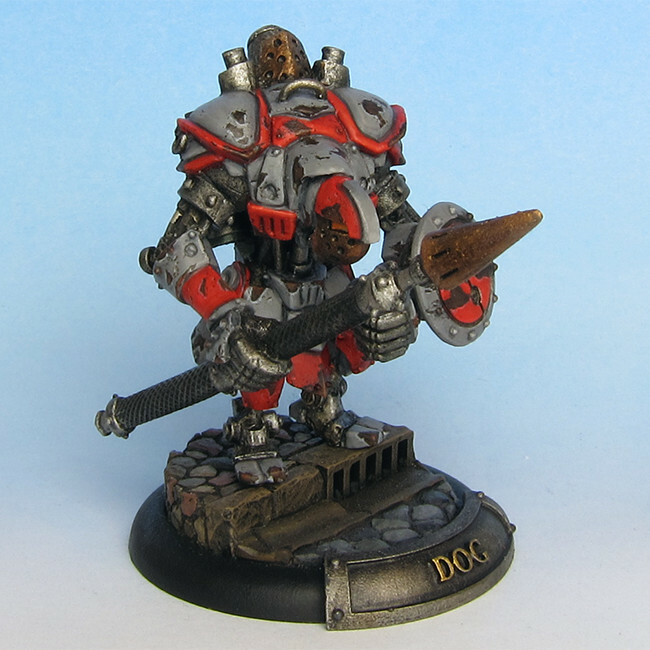 Though not build for combat his sheer strength and durability make him a valuable combat partner. 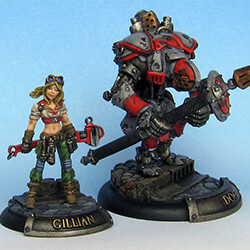 Armed with a spear and a buckler and guided by Gillian’s commands he charges into battle. Dog is supposed to be a Bulldog Laberjack, which is the same ‘Jack Magnus based his Regenade Warjack on. I took the body of the Renegade and filed off any spikes to give him more of a Laborjack feel. Then I re-positioned his legs to get him to a standing pose. Next his Arcnode had to go. I clipped it off, filed down the plate it was mounted on and added a handle to it. 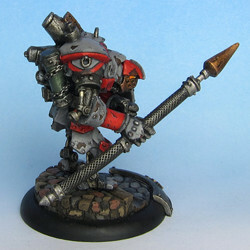 The arms were provided by a Talon Warjack and fit perfectly with the body. 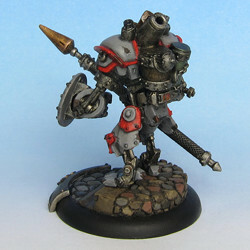 The buckler comes from the Nomad Warjack plastic kit. Had to cut and file the back of it quite a bit to get it to fit on the arm. 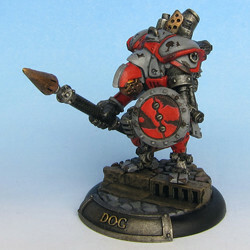 Dog is based on a Micro Art flagstone base, which fits nicely for an Iron Kingdoms urban setting.